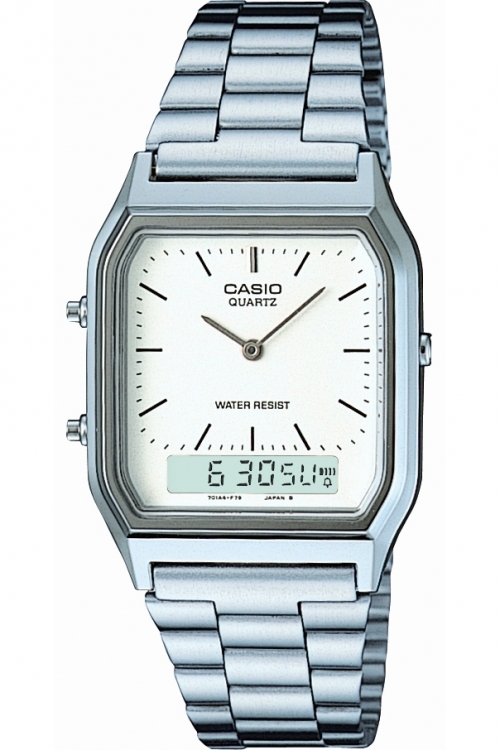 A slick looking all silver Casio watch, with a dual analogue and digital display on the crisp white dial. The Japanese quartz movement includes functions such as an alarm and a chronograph. The case and bracelet are stainless steel and resin, and the metal bracelet features a self adjustable clasp. This watch is a fantastic blend of style and function.